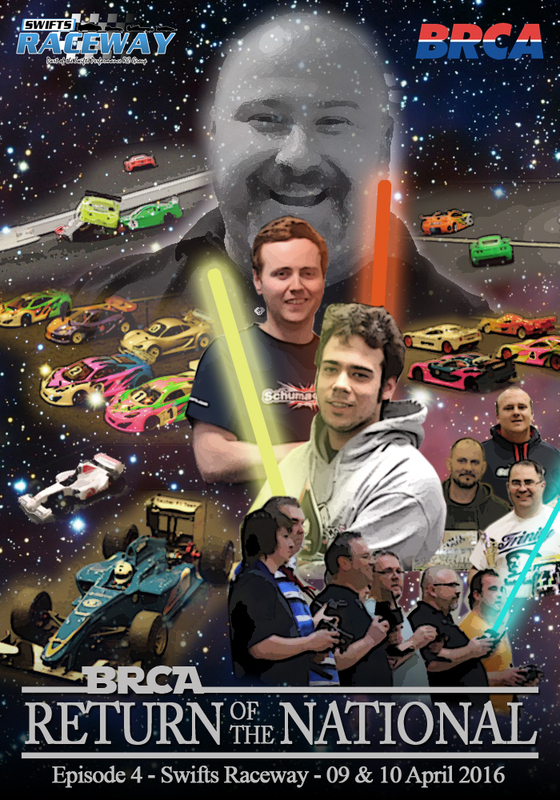 On Saturday 9th April the BRCA GT National Championship will return to Swifts Raceway. Swifts are only one of two clubs that will be re-hosting this top level competition as it continues into it's second successful year. Last year's event saw over 80 entries of different abilities enjoy a great day of action packed racing. The success of the championship has push the rounds to be two day events with GT10 and F1 races on the Saturday and GT12 on the Sunday. We were highly credited for our round last year and plan to make this one even better! This is the challenge everyone works towards, don't miss on a truly great weekend. "May the race be with you!!" The event is priced at £17.50 per class. You will need to book in prior to the event via the BRCA website. Please note a BRCA licence will be required to enter (and will also been needed on the day). We have an on-site pub and dining area within the facility which offer a great range of hot and cold food. There are also some local shops in the local village where you can get anything from a sandwich to fish and chips. For other groceries there is a supermarket located next the leisure centre. On Saturday racers will be not be allowed to enter the centre before 10:30AM. Please do not obstruct the entrance and other customers from entering. The facility will be open to other members of the public that will need access before this time. The event is open to everyone who has a BRCA licence. Please do not be afraid to enter if you have worries about your ability. If you have a membership you are part of the family and we will do our best to make sure you are part of the event.